We are pleased to present A Timeline of DCHS Milestones . 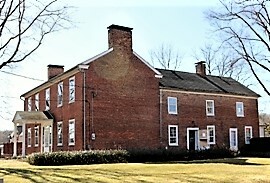 Delaware County Historical Society is incorporated by the Ohio Secretary of State, with Wilbur Main as its first president. Pauline Nash donates her home to DCHS, and receives lifetime annuity. 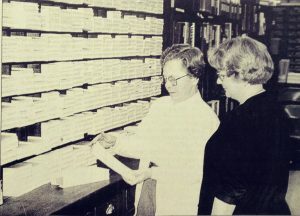 Museum Annex is built for $26,000; opens October 1971 with displays and meeting space. 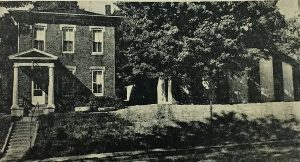 Tom and Carolyn Porter donate Meeker Property to The Delaware County Historical Society. 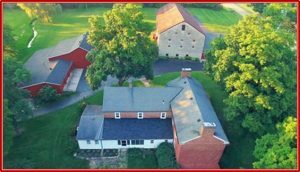 The Meeker Homestead comprises: six acres of land, the Meeker Home, and the Garth Oberlander Barn, and the additional mid-century Rear Barn, with storage and garage space. 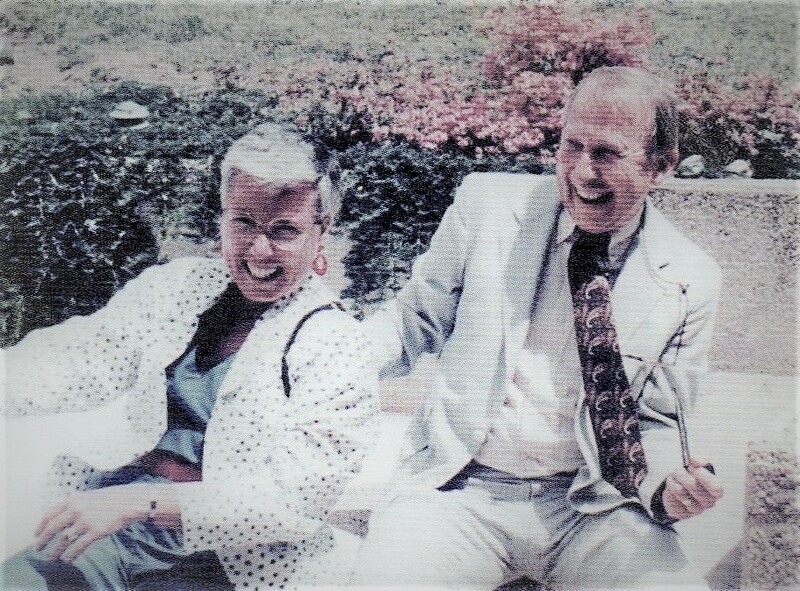 George and Marilyn Cryder were known as “living encyclopedias” and local historians before they died. 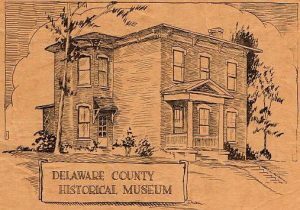 On March 26, the Delaware County Historical Society (DCHS) campus at 157 E. William St. became the Cryder Historical Center. “They were certainly important to the Historical Society and this county in terms of preserving the history,” said DCHS president Brent Carson, shown with Sandra Cryder holding the dedication plaque. The Barn at Stratford, formerly the home of Garth’s Auctions and known as the Garth Oberlander Barn opened as an Event Venue to offer this historic building to the community and the provide funding for the building’s restoration and maintenance. The Barn at Stratford opened with a weekend of open houses with food and entertainment to welcome the public to this new facility. The opening is the result of the Porter’s generous gift to the Delaware County Historical Society and great efforts by the Society’s volunteers and Connie Hoffman. Connie was the Project Manager for the Barn Event Venue Project and has accepted the job of Barn Event Venue Manager. The Barn at Stratford is ready to host both public and private events including Barn Weddings, Business Meetings, Exhibits and Peformances, as well as celebrations of all sorts (Birthday, Anniversary, Retirement, Graduation, Engagement, and more). 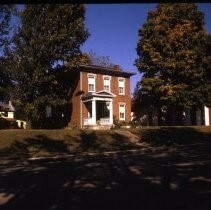 Meeker Homestead Museum opens to the public on Sunday afternoon tours. 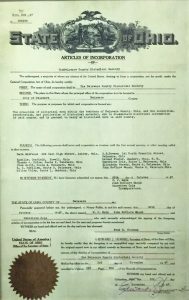 The first temporary exhibit was political memorabilia, and ran from Labor Day until Election Day.